Dinghaiqiao, located in east part of Yangpu district, lacks connection to both daily life and mainstream history with other parts of Shanghai. This is an often neglected and marginalized typicality. However, some celebraties who influenced the history of China origins from the worker's villiage in this area. 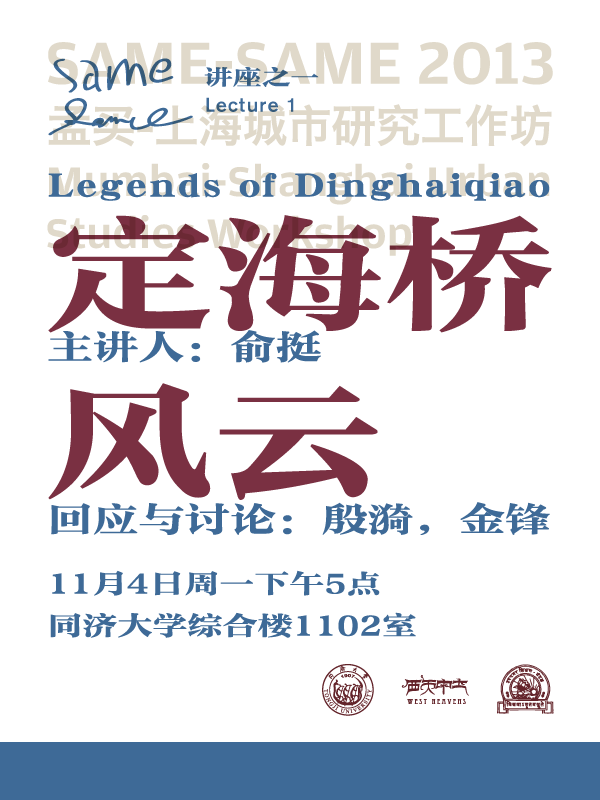 It's important to explore "other histories" of Dinghaiqiao, or even the cultural histories of Shanghai by expressing stories in Dinghaiqiao, which makes commentray and annotation of workshop's subject-"Heritage". YU Ting,born and grew up in Shanghai, senior engineer,architect. He studies in Chinese anicent archinterture, alternate history of Shanghai in 1930s and the history of Dinghaiqiao from 1949 to 1990. YIN Yi, born in Shanghai in 1970s, sound artist, live in Yangpu District. JIN Feng, born in Shanghai in 1960s, artist, grew up in Yangpu District.